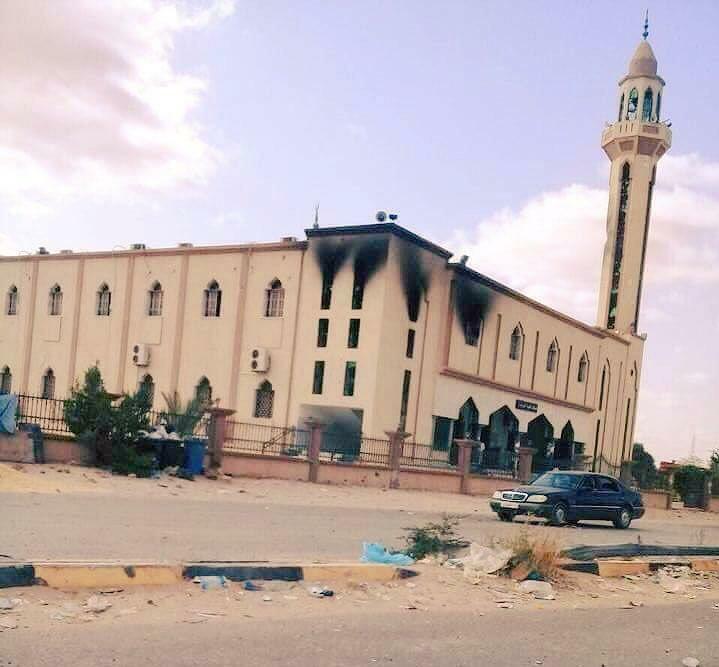 After we reported heavy inter-factional fighting within the UN-backed Government of National Accord (GNA)-controlled Tripoli last week, Libya's capital city has only descended into further chaos and is quickly sliding toward full-on civil war. On Saturday a barrage of rockets rained down on the city center, reportedly striking residential homes and a popular hotel; and tanks continue to roam the streets amidst intensifying street-to-street fighting which after a week has left 40 dead, nearly half of those civilians, and four of those children. Local authorities also have cited over 100 wounded in battles that have often raged in the heart of residential areas in Tripoli's southern districts. And what's more, the largest prison break in the country's recent history occurred on Sunday, with some 400 detainees taking advantage of nearby fighting in southern suburbs to escape Ain Zara prison, according to the AFP. The 15 or more rockets landing on the capital city and its surrounding environs over the weekend forced the suspension of all flights at Tripoli's only operational airport. A state of emergency has been declared by the ruling GNA over the entirety of the capital area. Though post-Gaddafi Libya, long forgotten about in the media after its "liberation" by NATO and Islamist militants, has since 2011 existed in varying degrees of anarchy and chaos with up the four governments recently ruling different parts of the country, this past week has witnessed the worst unrest in Tripoli in years. The fighting between the rival armed groups broke out earlier this week. 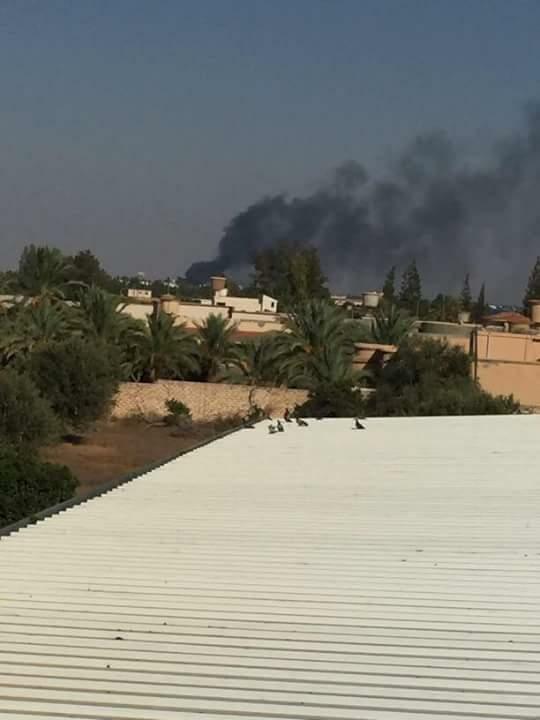 Street battles on Monday and Tuesday pitted the Seventh Brigade, or Kaniyat, from Tarhouna, a town 65km southeast of Tripoli, against the Tripoli Revolutionaries' Brigades (TRB) and the Nawasi, two of the capital's largest factions. The Kaniyat and other groups from outside Tripoli have noticed the success of rivals inside the city with growing unease. Reports about the wealth, power and extravagant lifestyles of some Tripoli rebel commanders have fuelled resentment. So nearly seven years after Muammar Gaddafi's field execution beside a ditch outside of Sirte in October 2011, the dozens of factions ruling the streets of Tripoli are still essentially fighting for the spoils of power. Local and international reports confirm that both sides of the fighting are loyal to the UN and internationally backed GNA. Smoke rising on airport road in Tripoli over during weekend fighting. In a joint statement released through the the French foreign ministry, Britain, France, Italy and the US condemned the violence as "attempts to weaken the legitimate Libyan authorities". "We are calling on the armed groups to immediately stop all military action and warn those who seek to undermine stability, in Tripoli or elsewhere in Libya, that they will be made accountable for it," the statement added. 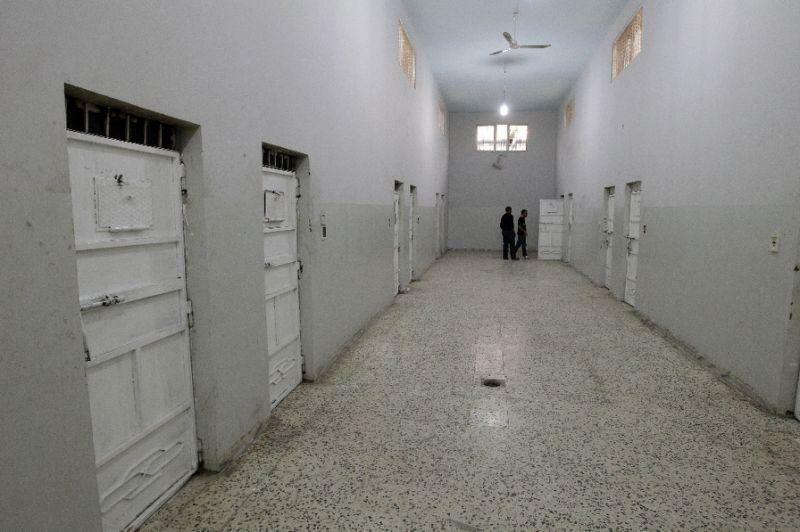 Likely, many of the escaped prisoners will themselves join the fighting alongside rival factions, though most are reported to be former Gaddafi loyalists and petty criminals. The Government of National Accord (GNA) has long tried to bring its own armed factions, who are in real powers in de facto control of streets and checkpoints throughout the city, to heel. The internationally backed government in Tripoli attempted to broker a short-lived ceasefire on Thursday. A subsequent official GNA statement blamed unnamed factions for "undermining the ceasefire ... by blindly launching rockets and shells on Tripoli and its suburbs". Since the NATO-backed overthrow of Gaddafi in 2011, Libya has remained split between rival parliaments and governments in the east and west, with militias and tribes lining up behind each, resulting in fierce periodic clashes. Perhaps the most significant of these warring militias nationwide is Khalifa Haftar's Libyan National Army, which controls much of eastern Libya and is the chief rival to the GNA in the western half of the country. Haftar is reportedly poised to make a move on Libya's vital "oil crescent region" while bolstering his forces with Chadian mercenaries, according to local reports. ISIS also maintains a scattered presence in various parts of the country, claiming responsibility for a deadly attack on a security checkpoint as recently as a week ago in the western part of the country. Six soldiers loyal to the GNA were reportedly killed in that attack. Meanwhile the GNA continues to appear helpless to act as international pressure increases to stop the fighting: "We warn these gangs and outlawed groups that have terrorised civilians and residents; there is no space for such lawlessness and chaos," the GNA's Presidential Council said in a statemen early in the week. "We have given orders to the interior ministry to counter these attacks," the statement said. Though the recently "liberated" Libya has remained conflict-prone after NATO and US forces promised an "Arab Spring"-style "blossoming of democracy" — things have clearly only gone from worse to worse as the capital now inches toward full blown civil war. Welcome to the "new" Libya... where the US and UN recognized government is at war with itself.